As usual, IDC, Strategy Analytics and Kantar released their respective smartphone estimates for quarter one on Wednesday, each of which showed Apple gain ground on industry rival Samsung. Notably, the three firms recognized a troubling dip in worldwide smartphone shipments, one that Apple defied thanks to an above-average performance. Apple reported its best March quarter ever on Tuesday, with $61.1 billion in revenue driven by iPhone sales reaching 52.2 million units. Thanks to a good mix of high-end models, specifically iPhone X, iPhone ASPs held above the $700 mark at $728.30. According to IDC, Apple's sales were good enough for 15.6 percent of the worldwide market, up from 14.7 percent in the year-ago period. Samsung retained its spot at the top with 78.2 million units shipped to grow its share of the market by 0.1 percent to 23.4 percent. However, overall shipments were down nearly two million units for the Korean tech giant, with IDC seeing a year-over-year drop of 2.4 percent. Huawei came in third behind Apple with 39.3 million units shipped to capture 11.8 percent of the market, up 13.8 percent year-over-year. Fourth-place Xiaomi saw massive gains of 87.8 percent on shipments of 28 million units, enough grow its marketshare to 8.4 percent. Oppo landed in fifth with 23.9 million units shipped and 7.1 percent of the market, down 7.5 percent from the same time last year. IDC estimates the worldwide smartphone market declined 2.9 percent year-over-year. China was largely to blame for the poor performance, the firm said, as shipments there dipped below 100 million for the first time since 2013. Unsurprisingly, it was in China that Apple experienced healthy growth. During an earnings conference call on Tuesday, CEO Tim Cook said iPhone X was the top-selling smartphone in China over the three-month period ending in March. 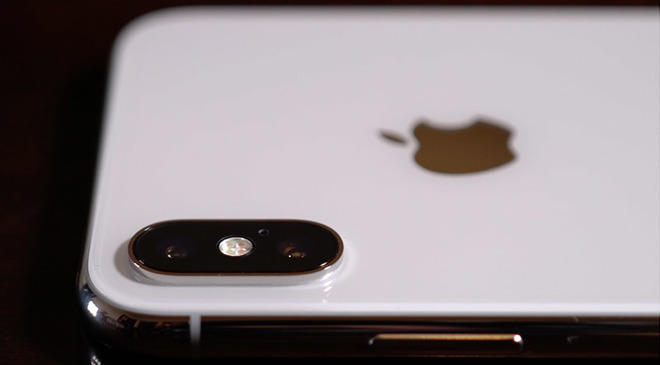 Kantar estimates iPhone captured 22.1 percent of that market, adding iPhone 8 posted "marginally higher numbers" than iPhone X in the U.S. and top-five European markets. Strategy Analytics posted estimates similar to those turned in by IDC, though market percentages are slightly askew. Samsung's 78.2 million units shipped translates to a 22.6 percent marketshare under Strategy's model, while Apple and Huawei's figures equate to shares of 15.1 percent and 11.4 percent, respectively. The firm's estimates for Xiaomi and Oppo are more liberal than those from IDC, claiming a respective 28.3 million and 24.1 million units shipped. Xiaomi's performance earned it 8.2 percent of the market compared to Oppo's 7 percent. Strategy Analytics estimates the worldwide smartphone market declined 2.4 percent in the March quarter.